Looking to sample the best pizza around town? Hoodline crunched the numbers to find the best affordable pizza sources in Fayetteville, using both Yelp data and our own secret sauce to produce a ranked list of the best spots to satisfy your cravings. Topping the list is MOD Pizza. Located at 1950 Skibo Road, the spot to score pizza and fast food is the highest rated inexpensive pizza spot in Fayetteville, boasting four stars out of 121 reviews on Yelp. 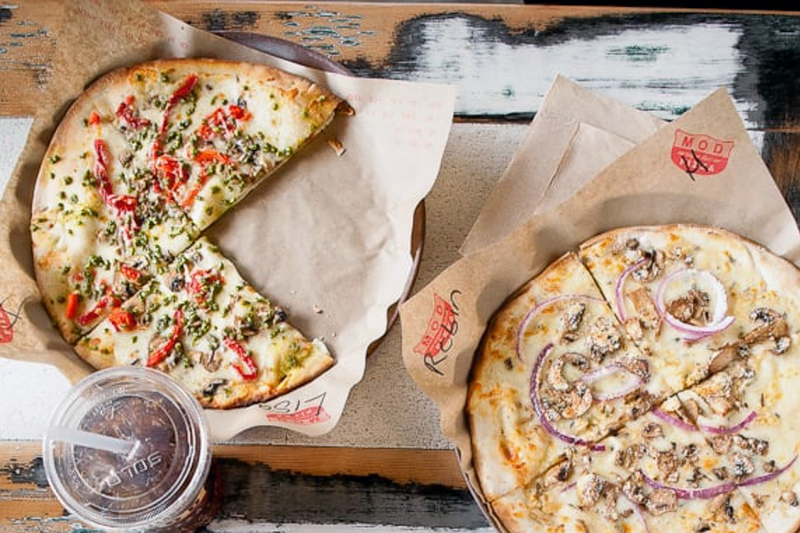 MOD Pizza is a national chain with several locations across the country. It specializes in artisan-style pizzas that are made on demand (aka MOD). The spot also offers salads, sodas, iced teas, lemonades and milkshakes. View the full menu here. Yelper Austin p. wrote, "Great service every time I go! They have reasonable prices for what they offer, and the pizzas are freshly made by an open fire. Lines can get long at certain times, but MOD Pizza is one of my favorite spots in Fayetteville." Next up is Mancini's New York Deli & Pizza, situated at 7711 S. Raeford Road, Suite 111. With four stars out of 89 reviews on Yelp, Mancini's has proven to be a local favorite for cheap pizza pies. Established in 2014, the menu here features Brooklyn-style pizza, New York-style subs, Italian pastas and more. Mancini's also offers delivery. Take a look at the full menu here. 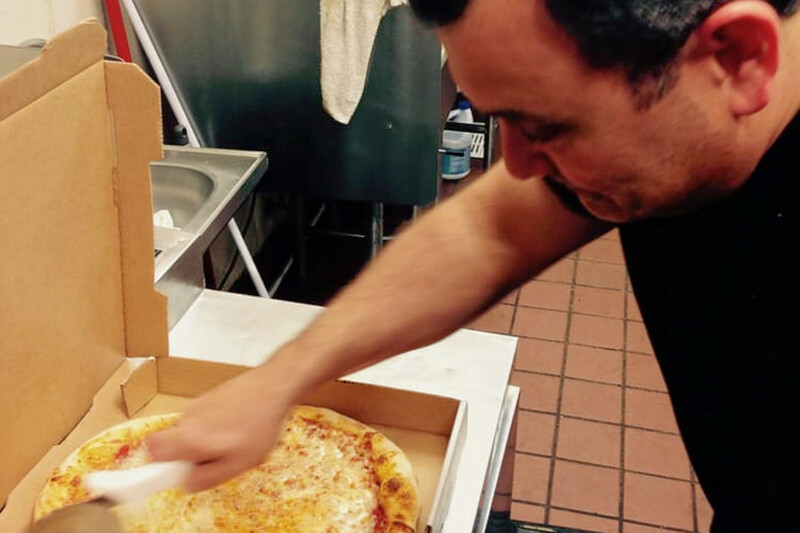 Yelper Kacee F. wrote, "Always looking for great New York-style pizza as I travel, and Mancini's did not disappoint. The pizza was light, the crust was crispy, and the sauce and cheese had amazing taste." Dino's Pizza, located at 150 Andrews Road, is another top choice with Yelpers giving the affordable pizzeria four stars out of 17 reviews. 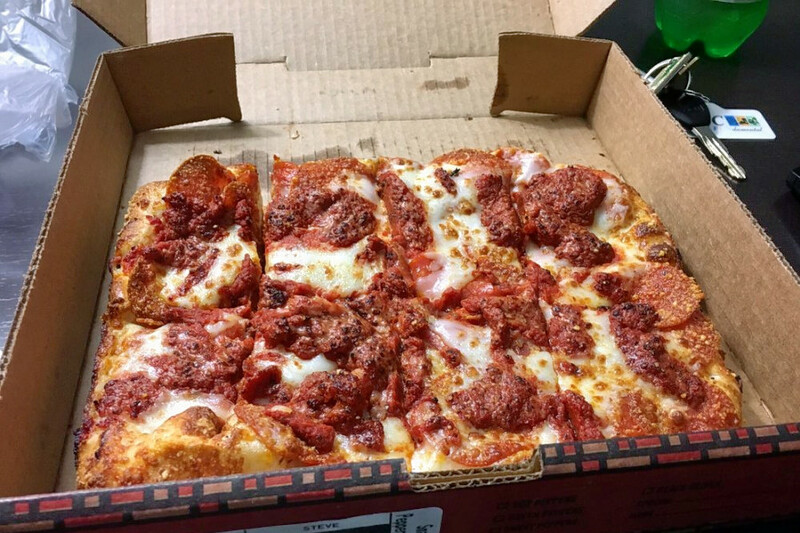 With locations in Fayetteville and Cameron, Dino's menu offerings include pizza, like the Pepperoni Cheeseburger Pizza, subs and chicken wings. The spot also features takeout and delivery service. Check out the full menu here. Yelper Emily D. wrote, "Good pizza, good prices and quality! The service was great and the pizza is to die for, so I'm looking forward to having it again soon."